Ellsworth can smile. And can others make smile. Thanks for the song in my head today! Cute pics! I’m always amazed at the affection the donks seem to have for one another. I don’t remember seeing any horses behave this way. Sorry CeeCee – It wouldn’t let me leave a comment, but it would let me reply…. The above looks like love to me! When you are given love, you can’t help but return it. 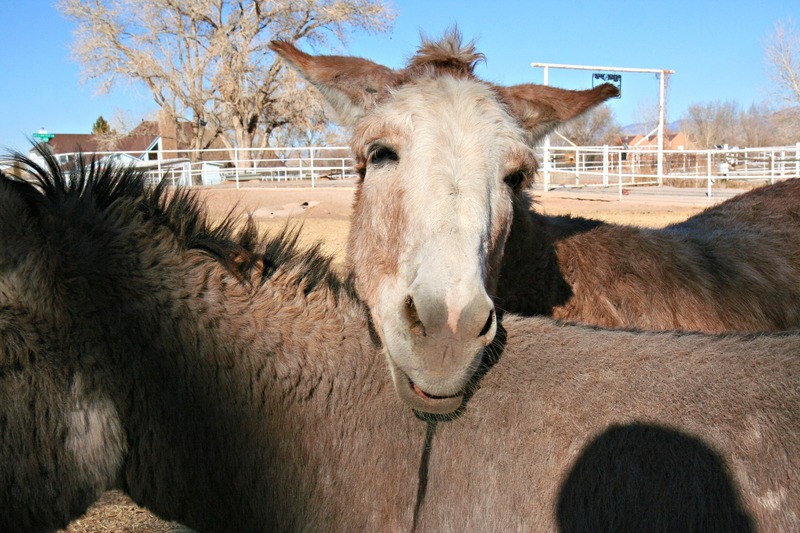 The MB farm donkeys are giving back what they get. those two just melt my heart…. You definitely have a happy clan there! I just want to squeeze those furry faces and slather them with kisses! 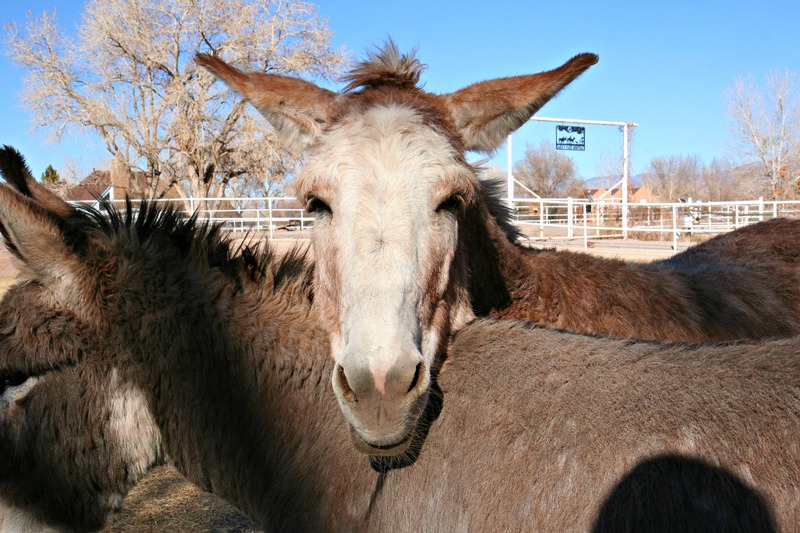 I was reading your original posts about Bernard and happened across the comment in which you were celebrating because Nigel let you touch him… I have a rescued donkey – named Paco – who will let me touch and caress him but no one else. I am worried about how to get him vet care and hoof care. He was ‘captured’ and sedated for a gelding operation and hoof care (his turned up) and had his teeth filed because they were cutting his cheeks every time he chewed. How long did it take Nigel to accept farrier and vet care? Do you have any tips for me? I love reading your blog!